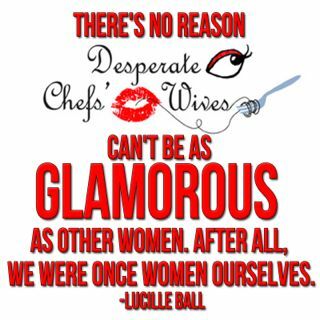 Desperate Chefs' Wives: Contest: Win 2 Books!! My dear friend, and fellow chef's wife, Jessica Conant-Park has written the fourth edition of her Gourmet Girls Mystery Series, FED UP. The series is described as Bridget Jones meets Janet Evanovich meets Julia Child. A cozy, culinary, romantic, humorous, chick lit mystery series set in the Boston restaurant scene. This latest book is near and dear to my heart; my chef was given the opportunity to write some recipes for the wedding in the book. So check those out too! Jessica has so generously donated a signed copy of her latest book, FED UP as well as the new paperback version of TURN UP THE HEAT, the third book in the series. How would you title a book about your life with a chef? -You must leave your email address so we can contact you. Once a winner is contacted they have a couple days or so to respond with a mailing address. -All entrants agree to be placed on Jessica's Food Fiction newsletter list. 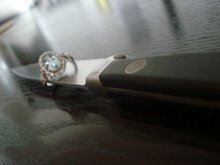 -Don't fear if your not married to a chef: title your book about your life and its connection to food. A winner will be chosen at random next Friday, March 6. If you want to double your chances of winning some great books, head over to Jessica's Newsletter site and check out her other contest to win Fed Up, Turn Up the Heat, Michelle Scott's complete Wine Lovers Series, and Mia King's Sweet Life and Good Things. To enter, email the newsletter team at:foodfiction@gmail.comfoodfiction@gmail.com with the subject line "Food Fiction Contest. "All you have to do is tell them your favorite meal or send them your favorite recipe! (You will be added to Michele and Mia's newsletter list unless you note to opt-out. )That contest runs until March 1, 2009. 86 My Husband. 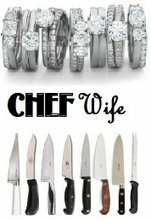 The challenges of being a chef's wife. In the early days it would have been titled "Home Alone" but now we've got kids so it doesn't apply anymore! A more appropriate title now would be "The Scent of a Chef & More: Garlic, Onions & Tongs"
Thanks - it was fun thinking of titles! I love my clever chef! Let's write a book together! Major lol @ "Sit on My Face"
Desperate Chefs' Wives Sans Me?